Stafford Beer's theory of (self) adaptive structures in a viable organisation needs to be linked to self organising and coherence. From a corporate perspective, we need to strat the discussion from a management science baseline and work towards our take on coherence. 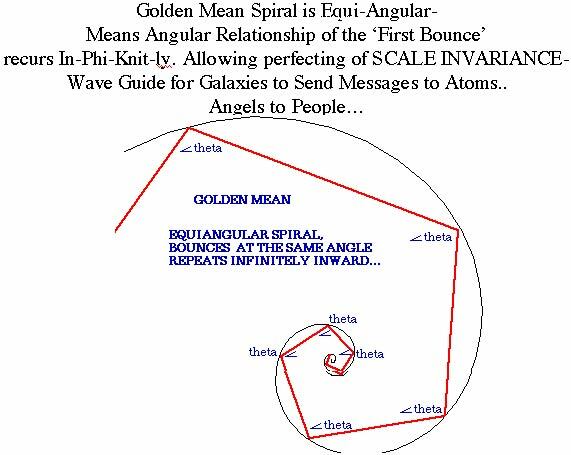 The golden mean ratio in an organisation. You have sounded it out...we need to expand further. 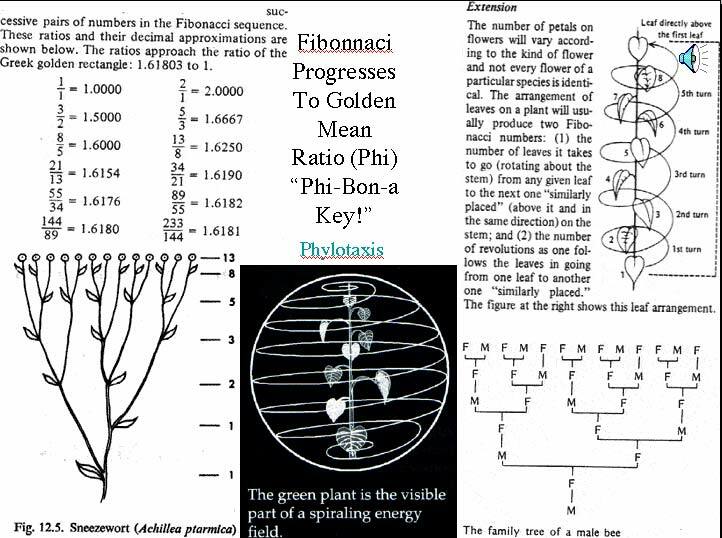 How Corporate Bodies are Born and Get Identity..
Oneness=COMPRESSION.. 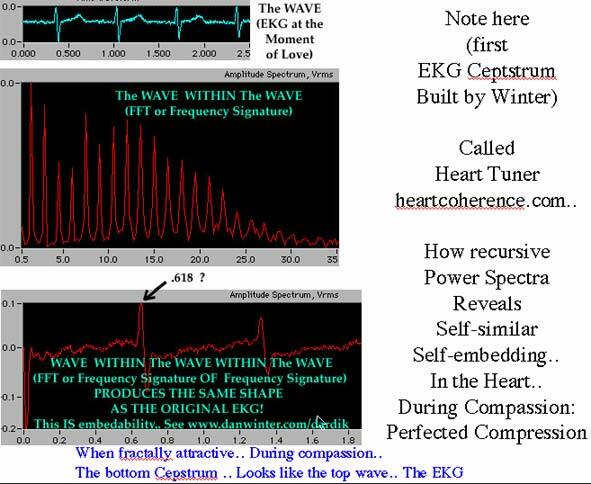 Compression = Taking Heart and has a HARMONIC SIGNATURE (Phi). The pure arithmetic principle of how corporations get identity and coherence may be simpler and more practical to apply than you think. It all begins with the concept from Feng Shui - which says that the Chinese SHEI - means both TO DIMPLE and TO MAKE HEART. 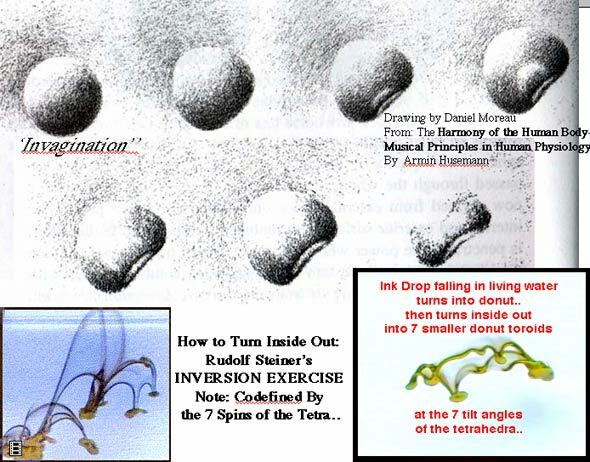 Whatever it is that initiates or begins the dimpling process (apparently - it is the same as COMPRESSION) is that which self - organizes (gives heart) to any system. 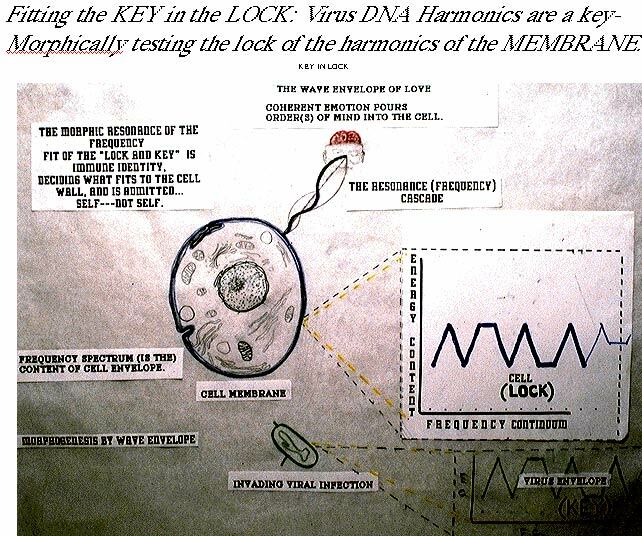 A visual example would be the service the human sperm delivers to the surface of the egg membrane. 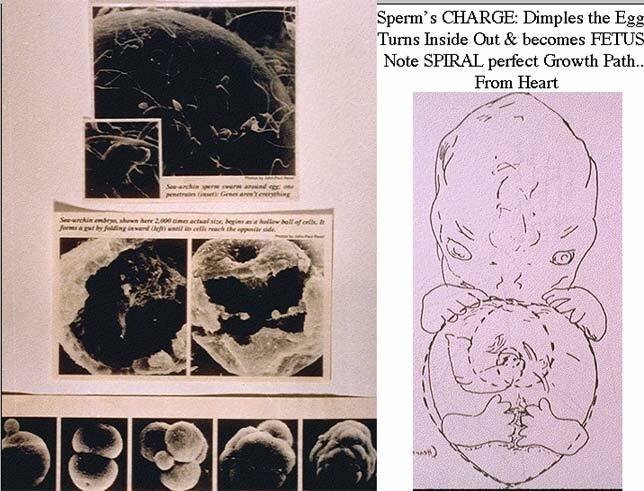 By providing the proper shape of a capacitance or charge wave - the sperm delivers the impulse electrically to initiate...COMPRESSION.. 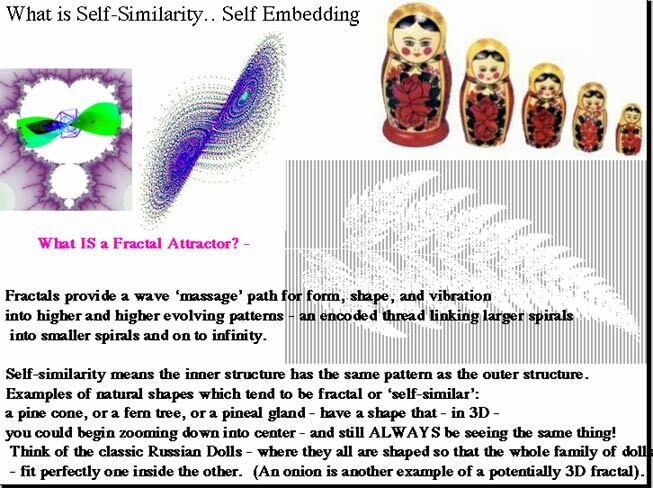 If we apply this process of getting born, or initiating self organization - in essence to all process - we come up with a simple formula which is a symmetry principle. That is - whatever allows or initiates the process of successful - COMPRESSING - IS THAT WHICH INITIATES SELF ORGANIZATION (GIVES HEART). The history of computers, the history of fractals, the history of awareness - are all examples of the history of discovery on improving the efficiency of compression. 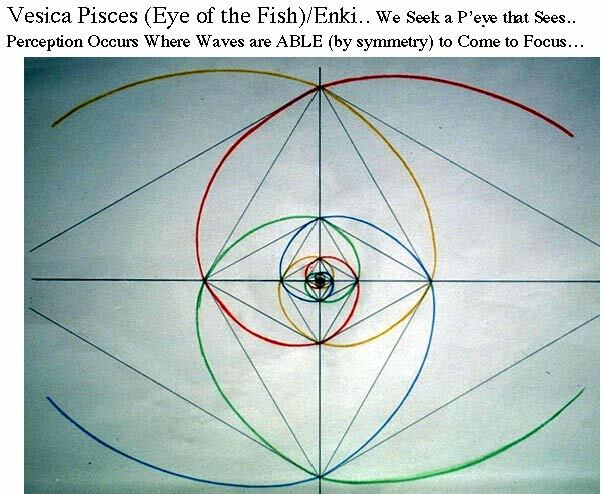 At the end of this article - we shall conclude that the origin of successful CORPORATE identity - is the same as the origin of consciousness - compression which makes charge distribution efficient - is the definition of CORPORATION and the DEFINITION OF CONSCIOUSNESS. 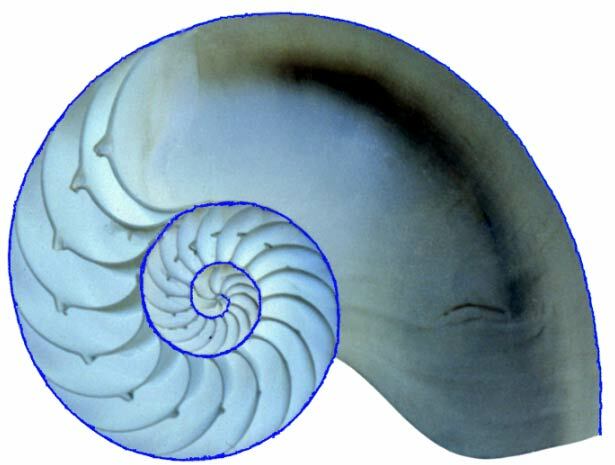 For example: the definition of abundance - is the symmetry which allows distribution without storage. 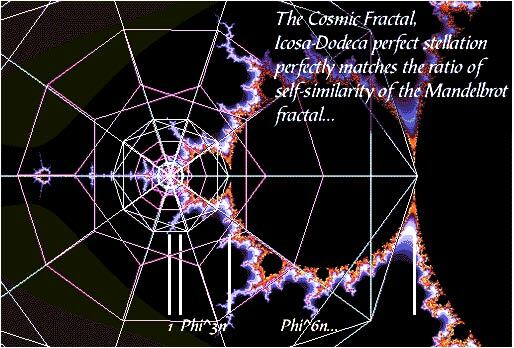 Infinite distribution with zero storage is only possible for charge, for money, and for resources in a geometry which has learned perfect compression. Summarizing we may say - all human- and corporate - scarcity and lack - comes from the attempt to store rather than distribute. 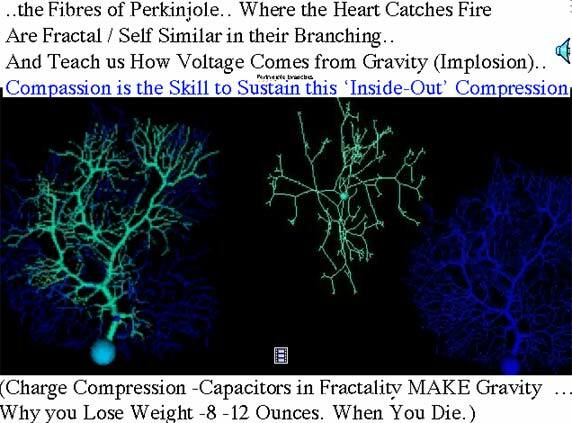 We shall see - that fractal compression solves this problem. The very name CORPORATE - means to take on a body. 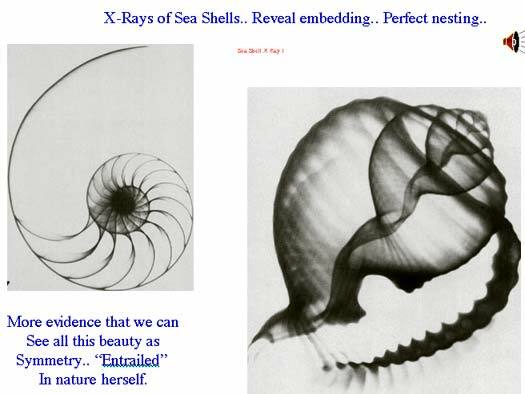 We now know from mathematic biology ( the text: "Structural Stability and Morphogenesis" for example ) - that all biology (EMBODIED!) 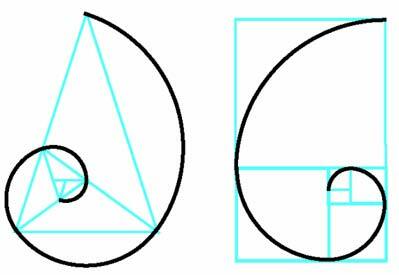 shapes - obey a simple arithmetic. 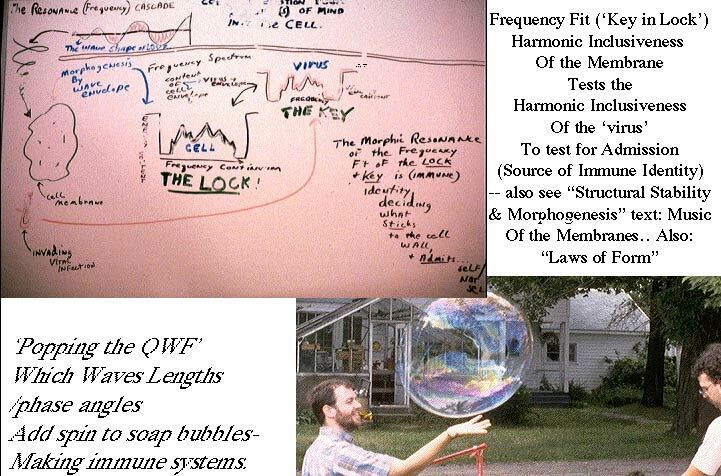 That is - biology (living cells) are names for the shape of soap bubbles which do not pop because THE WAVES FOLDED ON THEIR SURFACE ARE CONSTRUCTIVE OR MUSICALLY IN PHASE.. 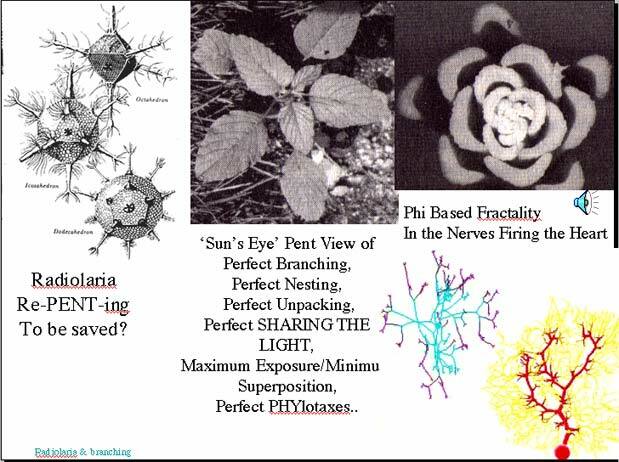 Creating an immune system for your company as the same as creating an immune system for 1 living cell. 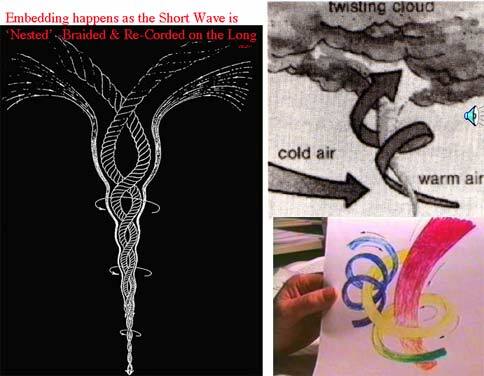 You must learn how to fold waves onto a folded surface so construtively - so COHERENTLY - that the soap bubble does not pop. 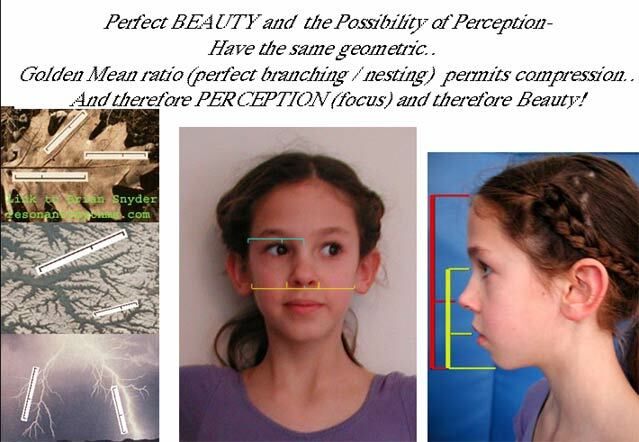 Golden Mean ratio (1.618)..perfects compression. 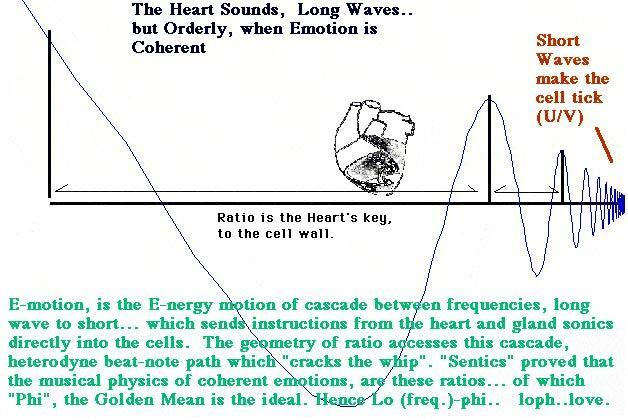 Compression in science is well known to be made perfect by FRACTALITY.. SELF SIMILARITY..
What is less known- is the relationship between GOLDEN MEAN - and FRACTALITY - as the musical arithmatic of perfect compression.. 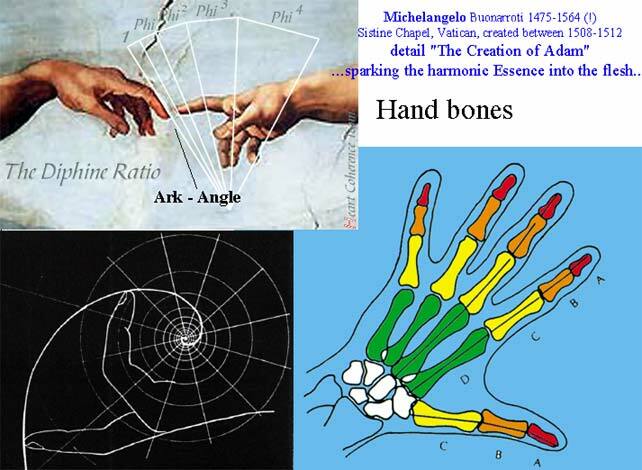 This perfect coherence musically - is self similarity - which shows up in the harmonic analysis -- OF ANYTHING - alive.. your heart - your planet-- your stock market... becomes the musical identity of identity. 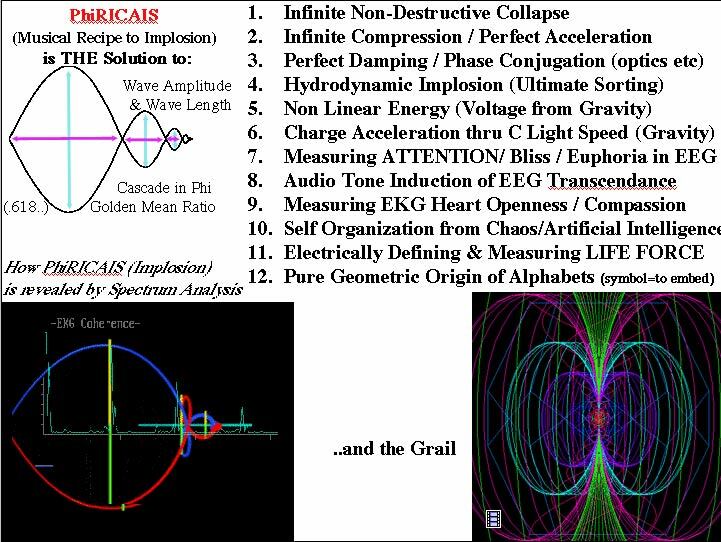 PHI RECURSION INDUCED CHARGE - COMPRESSION ACCELERATION SOLUTION.. The Shape of The Touch Which Says Love. To review: the enviornment requires 1 HeartTuner hardware preamp, with software and 1 Computer - for each TWO people connected. Each computer must be connected (usually via ethernet or modem) to INTRANET or INTERNET. (a simple IP protocol with host server is used - as explained above). 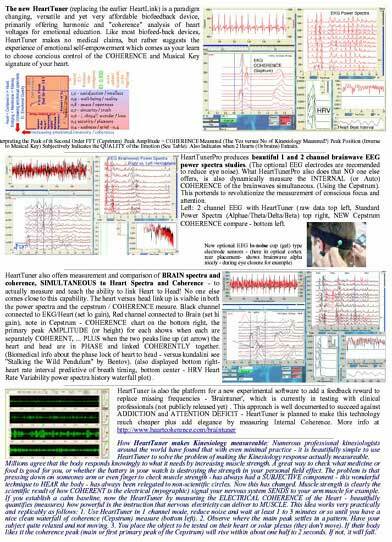 The HeartTuner software is running on each, (display small or hidden) plus the Harmonic Module software - which shows the above waterfall display clearly making it visible which hearts are COHERENT - plus WHICH HEARTS HAVE COME INTO MUSICAL PHASE LOCK / AGREEMENT. In test environments using internet from Germany to Netherlands, and in test lab conditions (intranet) in Netherlands it has been very clear - that this worked in practice. Both Hardware and software do what they say. And it is also true that with a bit of sensitivity focus, you can palpably FEEL when hearts in the room come into phase. HOWEVER, this environment is new. This means that it needs to be demonstrated in a real practical commercial environment at greater length. 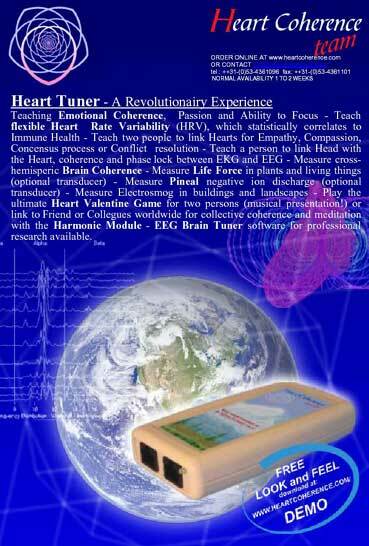 Heart Coherence Team is committed to the CORPORATE HEART PROJECT. However, the work with Corporate Harmonics is probably our first real opportunity to develop an ongoing significant collaboration to evolve this concept to powerful commercial training viability. 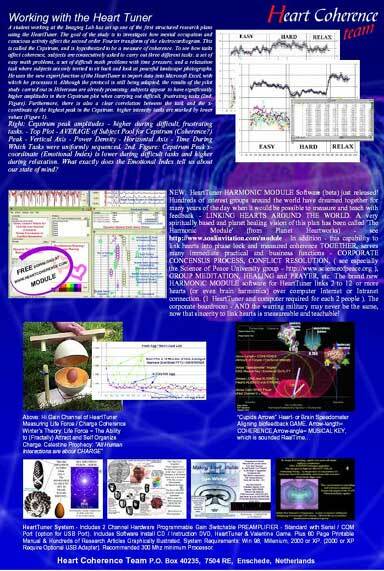 Without some corporate collaboration and shared commitment, Heart Coherence Team is limited to proceed powerfully. 1. 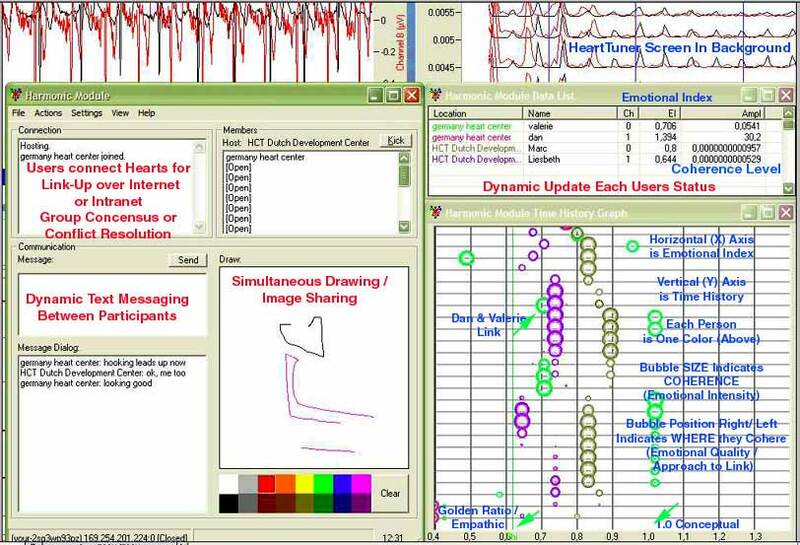 Real on-site HeartLink up experiences - potentially life transforming - for corporate leaders. 2. Preparing to be a global leader in teaching Corporate Training for CONCENSUS and CONFLICT RESOLUTION based on MEASUREMENT in the Heart. 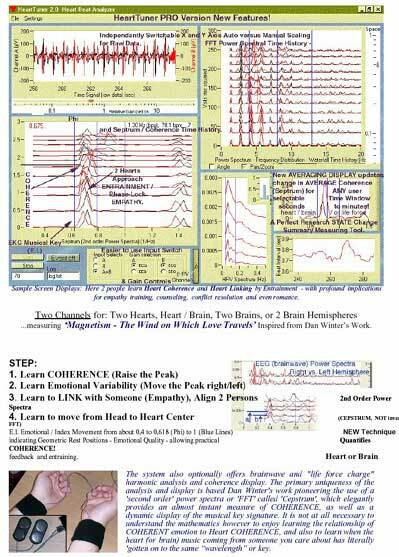 The benefits for the Heart Coherence Team include using Corporate Development training materials advertising Corporate Harmonics in the global promotion of the Harmonic Module cutting edge software environment. And obviously, evolving and refining the Training Environment - to even greater usefulness in commercially proven environments. Feedback from Frank, Marc, etc.